There’s no question that the AR-15 is America’s Favorite Gun. But sometimes, you need a little more bang than what the AR-15 has to offer – like when you’re shooting longer distances or taking down bigger game. There’s a saying among hunters: Make sure you bring enough gun. And for many situations when the AR-15 isn’t enough gun, an AR-10 is. 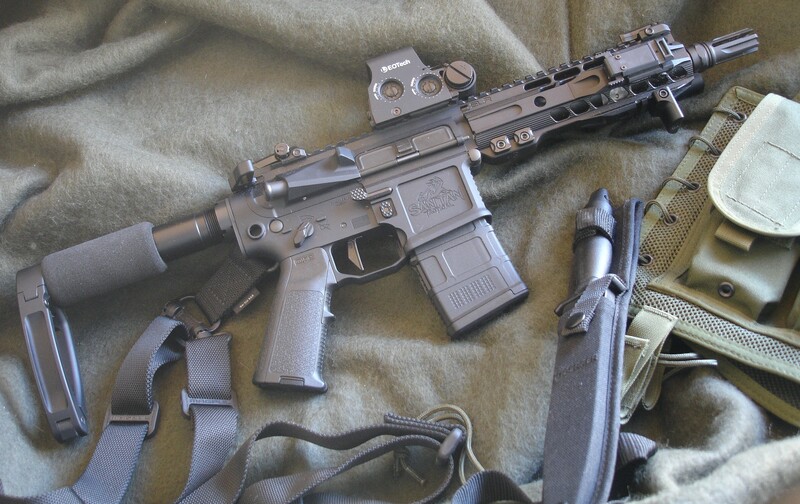 Today we’re going to look at some of the more popular AR-10 builds on the market. Whether you’re a competitive shooter, an average firearms enthusiast, or just a hunter who loves the stopping power of the trusty .308 Win cartridge, the AR-10 is a gun that delivers time and again. The “Armalite” AR-10 was the rifle that started it all. Designed by Marine and engineer, Eugene Stoner, the AR-10 was one of the most innovative rifles of its time. Powerful and accurate, the AR-10 almost became the main battle rifle of the US Military until Stoner designed another combat weapon, the M16 – or as civilians know it, the ArmaLite AR-15. When it comes to originality, the AR-10 is as authentic they come. 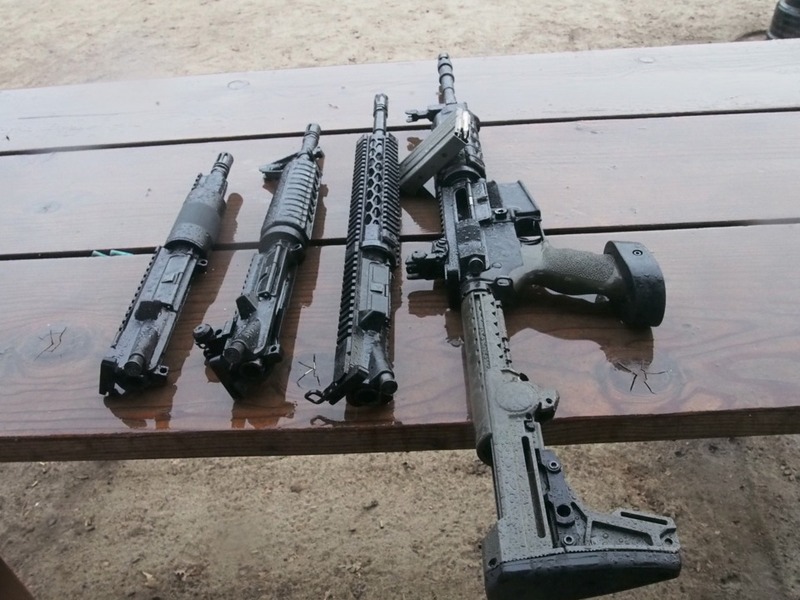 In fact, most people outside of firearms circles don’t even know that the letters “AR” are an abbreviation of ArmaLite, not “assault rifle.” Overall, ArmaLite’s AR-10 remains a top contender in its class, providing both accuracy and reliability. For this reason, the ArmaLite AR-10 continues to be a favorite among competitive shooters in 3-Gun competitions, hunters, and casual hobbyists. All in all, ArmaLite’s AR-10 is a brilliantly-crafted gun that’s capable of handling whatever you throw at it. It comes with a match-grade, stainless steel barrel, and you can get it chambered in the classic .308 Win. 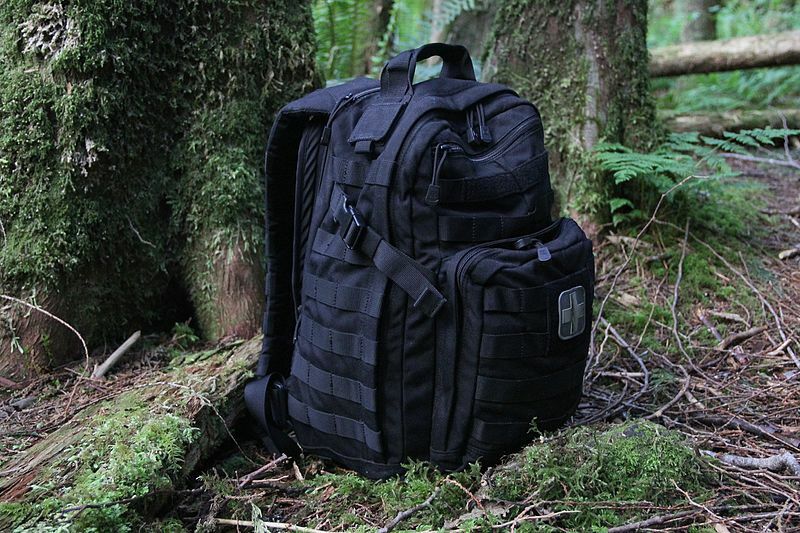 Weighing less than 9lbs, it’s also relatively lightweight. No real drawbacks. For its price, you get a lot of decent competition-grade parts. If you’re looking for a quality AR-10 that’s affordable and solid, we recommend the Lightweight AR-10, also known as the PS-10, by Palmetto State Armory. Despite being one of the cheaper AR-10 builds on the market, Palmetto’s Lightweight-10 brings the best of performance and dependability. For the most part, the response to PSA’s AR-10 build and other rifles has been overwhelmingly positive. Don’t expect them to be like some of the other, less reliable, affordable gun manufacturers. With that said, they’ve received their fair share of criticism regarding their customer service, which has been characterized as less-than-helpful to downright ineffective. Aside from the trigger, the PA-10 is a really solid gun that brings the best of accuracy, durability, and dependability. 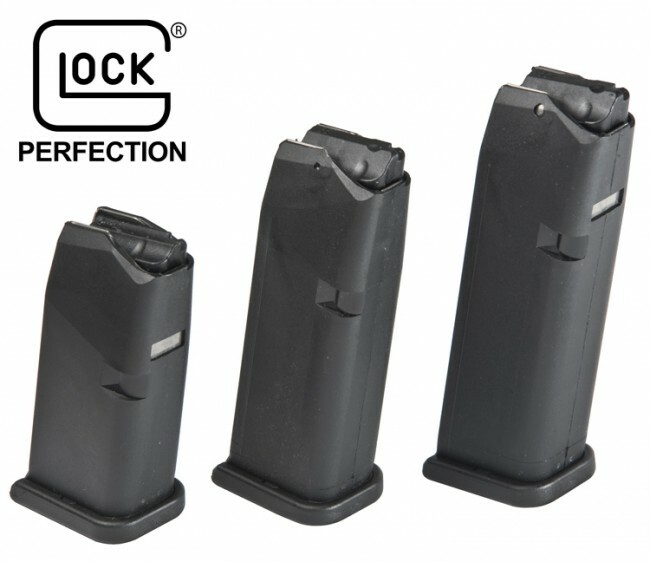 For just $700, you can expect minimal issues as you spend hours at the range firing off ammo. If you’re willing to spend a little extra money, GGP’s Heavy .308 Win is one of the smoothest-shooting AR-10 builds out there. Originally known for their high-quality gear and accessories, GGP expanded into the realm of precision rifles a few years back – and the results couldn’t be anything short of impressive. What makes GGP’s rifles stand apart from many of their competitors’ is the research and attention to detail they put into developing every build. When designing the Heavy AR-10, Grey Ghost sought feedback from military personnel, Special Forces instructors, competitive shooters, and hunters. As a result, they successfully designed a stand-out rifle designed to excel in all types of situations, including tactical and survival scenarios. In terms of shootability, the Heavy AR-10 handles itself incredibly, shooting just as great as it looks. Expect pinpoint accuracy and full reliability with this gun, even when shooting in under the most extreme of circumstances. Pronounced “Reaper,” the REPR MKII is a high-performance weapon that feels more like a cross between a precision rifle and a tactical carbine than it does an AR-10. 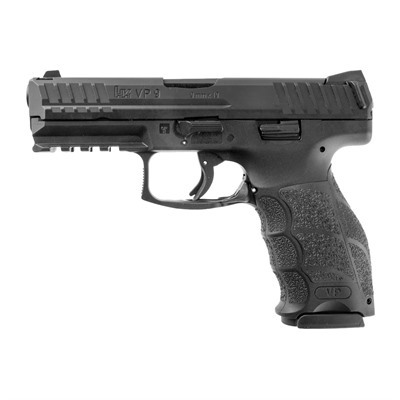 The end result is a gun that delivers unparalleled accuracy and dependability. Of course, all of this is expected from a gun that costs $4,000. However, despite its high-dollar price tag, the REPR MKII still manages to impress. From the first shot to the last, you can expect this gun to give you an accurate shot with 100% reliability. In fact, the responses from people in the industry who’ve managed to purchase (or even test) this rifle has been overwhelmingly positive. 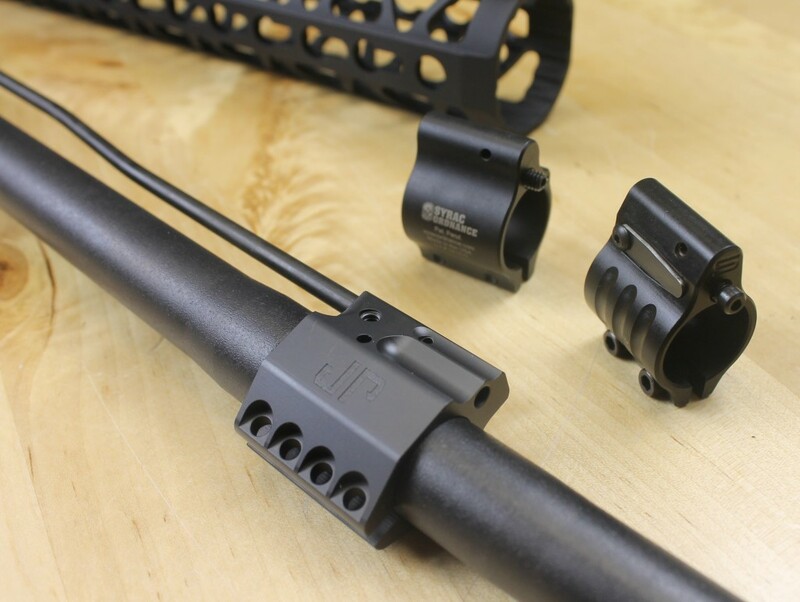 Great for precision shooting, the REPR MKII comes with an adjustable gas block that can be finely tuned to optimize shooting when running a suppressor or working with certain types of ammunition. Also, the rifle’s lower components are fully-ambidextrous, optimizing convenience and comfort for both orthodox and southpaw shooters. So, what’s the final verdict? If you can afford it, get it. You won’t come across a better AR-10. Aero Precision has built the reputation of being one of the most well-rounded firearms manufacturers in the industry – and for good reason. While their guns don’t fall on the “cheaper side of the spectrum,” Aero Precision is affordable and delivers a lot more quality and performance than one would expect from a mid-range rifle. 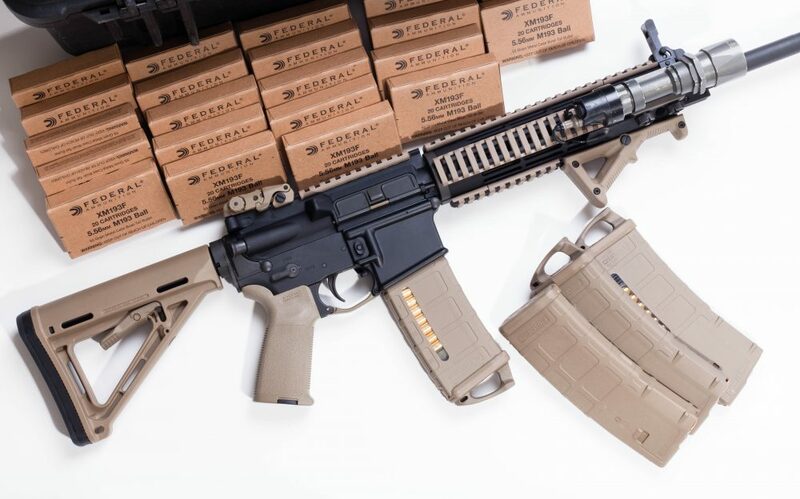 Known primarily for their high-quality build kits, Aero also has a number of top-tier complete rifles for people less concerned with gunsmithing and more interested in unboxing a solid, well-rounded gun. 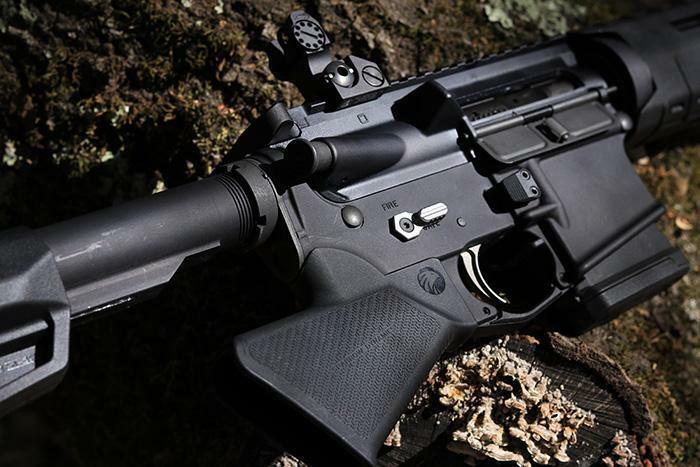 One of our favorite complete builds is the M5E1, Aero’s complete AR-10 build. The rifle ranges anywhere from just under $1,500 to $1,800, depending on whether you choose a mid or rifle-length barrel, and if you go with a CMV or stainless steel barrel. However, there’s one important thing to remember when shooting the M5E1: don’t use low-quality ammunition. Reviews of Aero’s products, especially their .308 builds, have been mixed in the past – some reviews leaning towards negative. You might have even come across some articles complaining about the accuracy and dependability of M5E1 and other Aero builds. Unfortunately, most of the criticism about accuracy and malfunctions are true, but many occurred while shooting lower-quality ammunition. 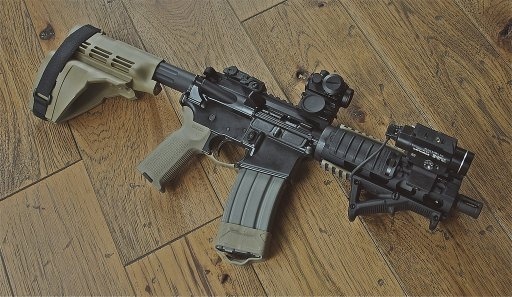 Something you should keep in mind before buying an M5E1 is that it doesn’t perform its best with just any ammunition. As inconvenient as it may be, you’re going to want to shoot top-shelf ammo with this rifle. With these loads, you’ll be less likely to encounter any feeding errors and failures to load, and you’ll also notice a dramatic increase in accuracy. The DD5V2 is another high-end AR-10 that probably exceeds the budget of the average firearms enthusiast. 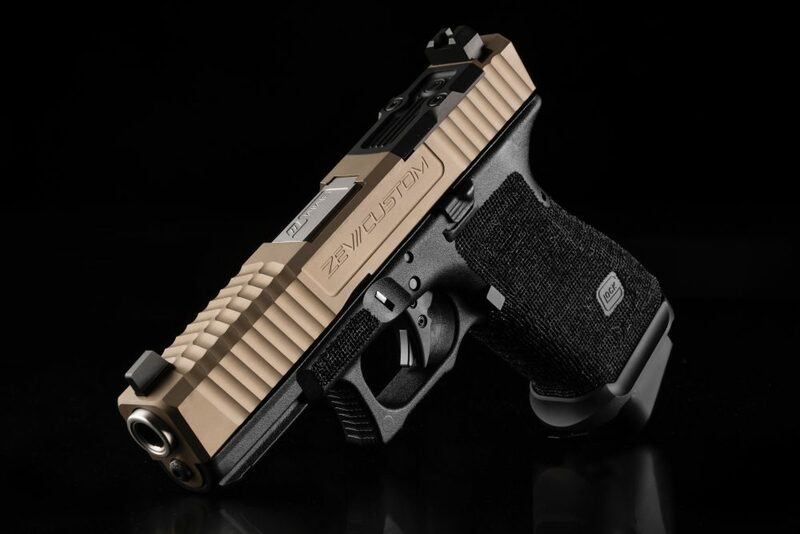 But unless you’re just getting into firearms, you probably already know that Daniel Defense makes premium products that are worth every gold-plated penny spent, which is why defense programs in the United States and the UK trust their products. Needless to say, the DD5V2 isn’t for the casual shooter who goes to the range once every couple of months. Anyone who needs exceptional craftsmanship, 100% dependability, and pinpoint accuracy. That includes professional shooters, government agents, and the most serious of hunters. Performance wise, the DD5V2 passes with flying colors. Not only is it comfortable to operate and shoot, but it’s also one of the most accurate AR-10 builds you’ll ever come across. And we’re not the only ones to believe that. Last year, the NRA’s Shooting Illustrated ranked the DD5V2 in their list of innovative, stand-out new rifles of 2017. If you’ve come across the DMPS Oracle before, you probably noticed that it’s one of the more basic AR-10 builds on the shelves. But don’t let that simplicity fool you, the .308 Oracle still manages to pack quite a punch despite its simplicity. A competitor to the Armalite AR-10, the .308 Oracle is marketed as the “big brother” of the 5.56mm AR-15. Much of its components are based on the mil-spec design, which is either a pro or a con depending on how you look at it. The advantage of this is that you shouldn’t have any problems finding adequate replacements, but the drawback is that most of the components are pretty basic. If your goal is to have an accurate AR-10 that does exactly what you’d expect it to, the .308 Oracle delivers. While it’s nothing on close to a match-grade rifle, we’re certainly happy with its performance at the range or on casual hunts. 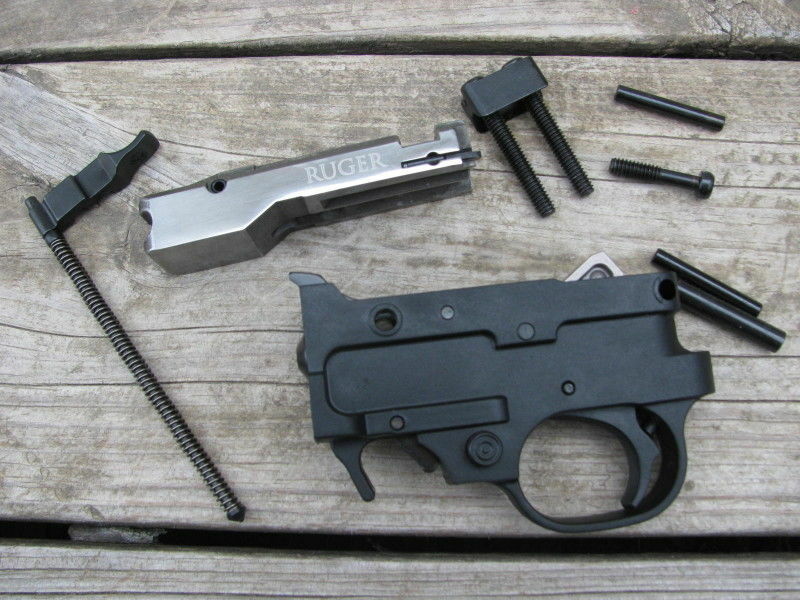 As you can see, there are a number of great AR-10 builds available for every type of budget. One of the most versatile rifles on the market, the AR-10 is perfect for casual shooting, hunting, and running through different types of shooting competitions.